Check out all of the ministry opportunities at Warner Memorial! 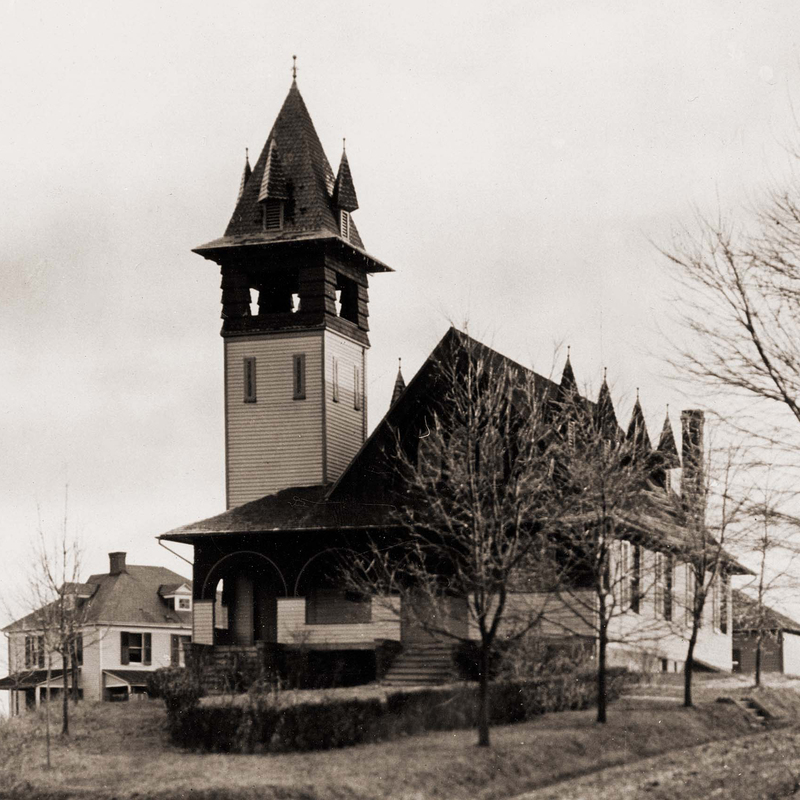 Warner Memorial Presbyterian Church, a member of the Presbyterian Church (USA), has been serving God and the community since 1893. Our dynamic congregation is serious about following Jesus Christ through worship, study, service, and fellowship. Together, our caring family of faith shares the full spectrum of human experiences from birth to death and everything in between. We offer an exciting music program, strong participatory Christian education for all ages, a wide variety of fellowship opportunities, and mission programs that are very active in the local community as well as throughout the world. Worship is at the center of the life and ministry of Warner Memorial. Our Sunday morning and special seasonal worship times always include a warm welcome, as a reflection of what God does for us all. Reflection on scripture, the sacraments of baptism and communion, and times of prayer enable us to return God’s embrace and help us to draw closer to one another. Warner’s staff follows their calling with open hearts, draws upon decades of experience, and works together collegially and synergistically to provide deep and enriching worship experienc es. In addition to our weekly Sunday service, several special worship services are held throughout the year. 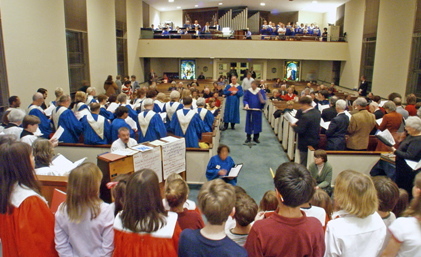 Warner choirs and instrumentalists enhance our worship services and include the Children's Choir for children in grades 2-5, the Youth Choir for youth in grades 6-12, the Sanctuary Choir for adults, and Hand Bell Choirs for both adults and youth. 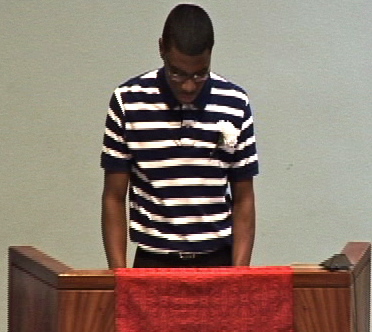 Warner also sponsors non-worship concerts and recitals throughout the year. Our educational ministry includes programming geared for all ages in which questions of faith can be addressed with integrity and sensitivity. Children and youth participate in worship services and are encouraged and equipped to take leadership roles on a regular basis. Classes and Choirs for Children and Youth are held on Sunday mornings. Fellowship activities for middle and high school youth include retreats, mission projects, ski trips, lock-ins, movies, meals, and mor e. Vacation Bible School provides a one-week program each summer which focuses on a specific theme designed to teach how to practice one’s faith in daily living. 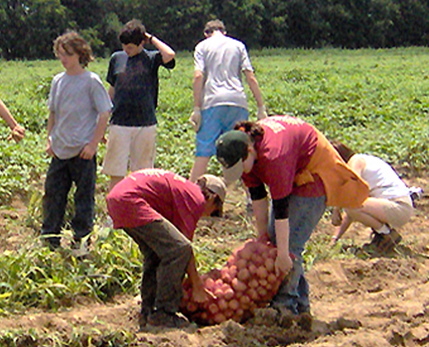 In 2010, Warner’s Renew: Green Vacation Bible School explored God's Word through Jesus' Parable of the Sower, teaching about God's creation, and what we can do to care for it. 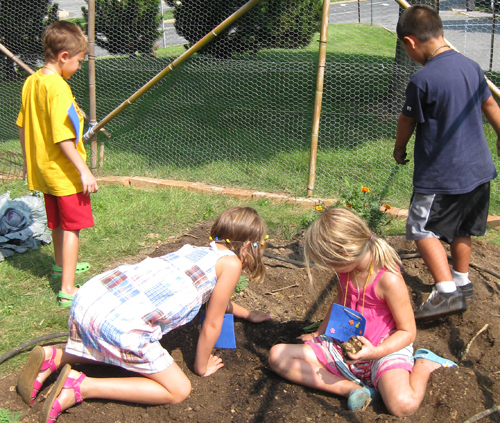 As part of the curriculum, students met members of our community who are stewards of the environment and had the opportunity to experience working in Warner’s Community Garden, harvesting tomatoes, peppers, and potatoes, and delivering the fresh produce to Shepherd’s Table in Silver Spring. In addition to Lent and Advent classes, special topic series for all ages are held throughout the year. Weekly adult education includes a class on Sunday mornings that covers a wide variety of topics and offers opportunities for lively discussions. Classes are often led by members of the congregation, who are happy to share their personal expertise, experiences, and perspectives. Breakfast and Bible study is held on Tuesday mornings and an in-depth Bible study focusing on a specific book or books of the Bible is offered on Thursday mornings. Warner’s active Presbyterian Women (PW) Women’s Circles also sponsor monthly Bible study, fellowship and community service. The Learning Center for Young Children (LCYC) is an outstanding parent participation pre-school that has been nurturing young children and their families for over 50 years. Originally opened in 1959 as an alternative to segregated schools, LCYC continues to prepare families for life in elementary school and beyond. Kindergarden is far more challenging these days and LCYC helps children and their families meet those challenges. LCYC believes in nurturing a child's self-confidence by providing experiences that develop social interactions, independence, listening skills, and problem solving. The program is designed to help children develop cognitive skills such as counting and recognition of letters, numbers, shapes, and sounds through informal activities and educational games, play, and hands-on experience. Some LCYC alumni have commented that it was they only school they ever looked forward to every day. The LCYC community is also a place where many families develop life-long friendships. Sharing meals and fellowship is as biblical as it gets and is an integral part of the Warner experience. We enjoy sharing meals together in any size group, from a few to hundreds, and the food is always as enriching as the fellowship. Many life long bonds have been formed while sharing fellowship as people discover they have much more in common than not. The Fellowship Hour follows our Sunday service in our Social Hall and offers a great occasion for people to get to know one another and share their lives. When the weather permits, we like to fellowship on our patio outdoors. Several congregational luncheons are held throughout the year. Other fellowship highlights include our Easter Breakfast, Harvest Breakfast, Breads of the World reception, the Advent Pot-Luck Supper and the ever-popular Cookie reception held in December. Young families without extended family in the area and older members, whose children have moved away, find these events provide the warmth and closeness usually found around the Sunday dinner table at Grandma’s. Our Salt Shakers and Pot-Luck dinner groups meet monthly in member’s homes where Warnerites deepen their relationships by sharing food, friendship, laughter, and the joys and challenges of everyday life. Opportunities for mission involvement are also at the core of who we are. There is always a place to connect, because we believe faith without works is an impoverished faith. Warner follows God's leading in Matthew 25:35-40 by thinking globally and acting locally via actions by the Commission to the Community, the Deacons, Presbyterian Women and others. Locally, we actively support Mid-County United Ministries, Rainbow Place homeless women’s shelter, and Crossway Community in Wheaton. In addition to canned and dry food, monetary, and service contributions, we grow fresh vegetables in our Community Garden for distribution to local food banks. We encourage contributions of canned goods through our “Get Your Cans to Church” program and serve as a community food drop site with our “For I was hungry…” barrel. Globally, we contribute to mission work that supports disaster assistance, long-term development projects, medical care, education, clothing, and hunger relief. Warner’s annual mission trip has sent teams of Warnerites to help rebuild homes in New Orleans, Pearlington, Mississippi, and Cumberland, Maryland. This year we are teaming up with a sister church traveling to Haiti to help rebuild from the devastating earthquakes. As in the classic story of the starfish, we believe that God’s extravagant love and unconventional wisdom provides each of us with ample power to make a difference in the lives of others. Please check out our facebook page, website and calendar to discover more about how Warner Memorial ministers to its congregation, community and the world. We are adding new content on a regular basis, so come back often to see what’s new and prepare to be changed.